This is a replacement ball for a popular vocal mic. This is a mesh ball with a thin foam windscreen lining on the inside. This ball is extremely durable. It can be damaged, but it's doubtful you'll dent it by simply dropping the mic from a few feet or an unintentional smack from a drum stick or guitar neck. 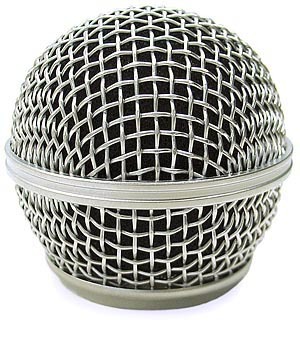 Sized to fit a very popular mic with a ball like this and a similar model number. 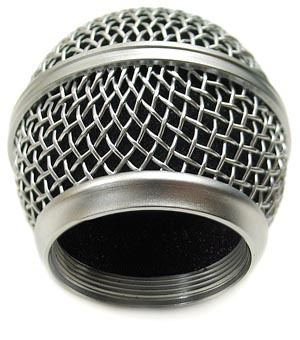 Designed to replace dented or broken balls on popular vocal mics.